Family owned and operated since 1988. Also serving Winter Park, Altamonte Springs, Maitland, Lake Buena Vista and all Walt Disney World Resorts. 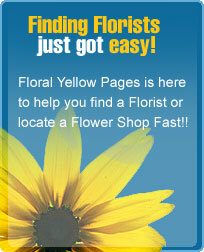 All major credit cards accepted by phone.Teleflora/FTD. Full Service Florist. Satisfaction Guaranteed. Family owned & operated. Specializing in unusual and custom designs. Something for everyones taste and budget. Serving all hospitals & funeral homes. Voted Kissimmees number one florist again!!! Full Service Florist. Satisfaction Guaranteed. Family owned & operated with combined design experience of 75 yrs. Details make the difference. Specializing in high style and custom arrangements. If you can imagine it, we can design, create and deliver with a smile. Serving all hospitals & funeral homes.